Braces are an effective treatment that can straighten your teeth and leave you with a healthy, gorgeous smile. However, they don’t work their magic on their own. There are a few steps you need to take to make sure your tooth alignment goes as smoothly as possible. 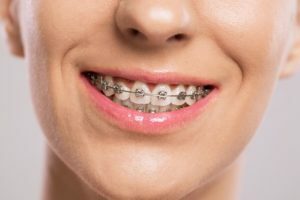 Here are four tips that will help you get the most out of your braces in Columbus, Ohio. The months that you’re wearing your braces might seem to stretch on forever, and you may find yourself craving foods that you know are bad for your teeth and the gear that is moving them into their proper places. However, always keep in mind the consequences that might result if you indulge in sticky or acidic foods: you could break a wire and erode the braces’ metal. A little treat isn’t worth it. When you’re in the mood to indulge, favor chocolate and soft cookies. These foods are unlikely to cause damage to your braces (of course, we’re not encouraging you to eat sugar, but if you do need something sweet, please choose goodies that won’t hinder your orthodontic treatment). Maintaining excellent oral hygiene throughout your treatment is pivotal if you want to avoid tooth decay. Therefore, it’s a good idea to keep a small tooth cleaning kit with you at all times. It should contain a toothbrush, fluoridated toothpaste, threading floss, and mouthwash. Soon after every meal or snack, take a bit of time to clean up your smile. It’s also a good idea to sip on water throughout the day in order to wash away food particles and bacteria that might get caught in your braces or on your teeth. The braces at the front of your mouth are especially vulnerable to damage when you’re biting down on foods. To minimize the risk that you’ll accidentally break a wire, cut your food into small pieces before you put it in your mouth, and then chew with your back teeth. If your orthodontist recommends that you wear rubber bands or head gear, listen to the advice! Not wearing these items can slow down your treatment time and stop your braces from doing their job to the fullest. Trust us — in the long run, the minor inconvenience of wearing your orthodontic appliances will be more than worth it! Your braces in Columbus, Ohio are your route to a more attractive, healthier smile. Take care of them, and they’ll take care of you. Dr. Amin Mason is your local orthodontic expert. He works alongside his talented team to help smiles in our community be as well-aligned, healthy, and attractive as possible. If you have questions about traditional metal braces or other treatments that are designed to reposition teeth, please contact us at 614-781-6990.